• Responsible to install, integrate and deploy Okta products in client environments. • Communicate to clients and partners aspects of both the product and the implementation at the technical and functional level appropriate for the situation. • Post-sales requirements gathering, analysis and documentation. • Manage project scope, schedule, status and documentation. • Build and nurture positive working relationships with the clients with the intention to exceed client expectations. • Identify opportunities to improve engagement profitability. Deloitte Advisory's Cyber Risk team helps complex organizations more confidently pursue their growth, innovation and performance agendas through proactive management of the associated cyber risks. Our professionals provide advisory and implementation services that integrate risk, regulatory, and technology skills to help clients transform their legacy programs into proactive Secure.Vigilant.Resilient.TM cyber risk programs. Join the team developing the future state of cyber risk solutions. 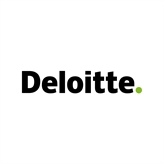 Learn more about Deloitte Advisory’s Cyber Risk Services practice. • 3+ years plus experience in developing, implementing or architecting information systems. • 3+ years plus with technical architecture experience integrating identity management, access management and access governance software into clients' infrastructure and applications. • 2+ years plus experience with installation, integration and deployment of Okta in client environment. • Previous Consulting or Big 4 experience preferred.